Trying to predict the markets is a near-impossible task and those who attempt to do so almost always fail. Many investors who persist in attempting to untangle the many conflicting events and investor opinions, including the sophisticated players who earn a living investing in the stock market, readily admit that trying to accurately forecast market behavior is mostly a fool’s game. The stock market is, indeed, very difficult to diagnose because it is a conglomeration of human behavior influenced by world and local events. To put it simply, investors trying to forecast or beat the markets have to be attuned to the consistencies and inconsistencies of human nature. The stock market, for the most part, is driven by humans and human judgment, fraught with inconsistencies and conflicting thoughts. But that hasn’t stopped hordes of investors from making big bets on what they believe the market will perform at any given time. “The trick is to learn from the hits and misses of the forecasting process .… and first and foremost, current analysis requires a thorough grounding in the economic and financial data,” says Ed Yardeni, president of Yardeni Research, who recently published the book, “Predicting The Markets, A Professional Autobiography.” The research firm provides global investment strategy and asset allocation analyses and recommendations. It also publishes for clients a daily report on its observations on what’s happening in the stock, bond and commodity markets, as well as what’s currently significant in various currencies. 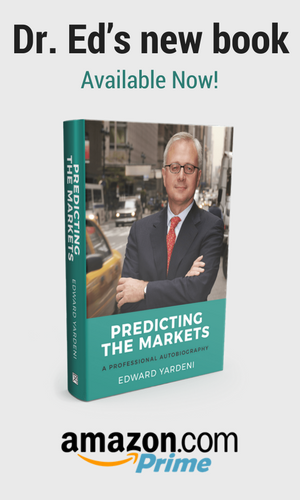 If there is a Wall Street pro who is supremely qualified to make sense of the markets and who is particularly prescient as a successful investor and prognosticator of where they are likely to be heading, it is Yardeni. His career has spanned an extraordinary secular bull market in stocks, punctuated by plenty of nasty corrections and severe, wicked bear markets along the way.